" The Can Do Legionnaires!" There are many benefits for members of the largest Veterans organization in the world! The American Legion is made up of active duty soldiers, sons of veterans , as well as the American Legion Auxiliary, for spouses and family members of veterans. The American Legion is comprised of 55 state-level "departments" in each of the 50 states as well as the District of Columbia, France, Mexico, Philippines and Puerto Rico. There are approximately 15,000 local "posts" throughout the sate level. Facts about membership in The American Legion, the nation's largest veterans organization. The 2004 current national membership tally — roughly 2.7 million — is consistent with the year-end totals for 1954 through 1986. 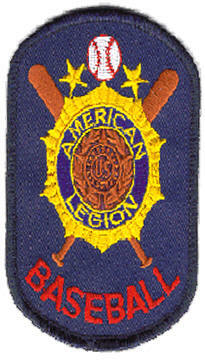 The American Legion extended its service in communities across the country through the development of 105 new, revitalized posts from January 2003 to December 2003. The American Legion attracts younger veterans. Active-duty members are eligible to join - and they are joining. In fact, The American Legion has over 221,000 members who joined under the Persian Gulf, Lebanon/Grenada and Panama War periods of eligibility. Today's active duty service members continue to join. The American Legion created a program known as "Reconnect" as an opportunity for its members to interact with the total force — active duty, National Guard and Reserve. The American Legion created a task force especially designated to assist Persian Gulf veterans and their families. The task force has helped individuals receive direct compensation and needed support through the service provided by The American Legion. The American Legion is "Still Serving America." This is only a part of what The American Legion did "for God and Country" in program year 2003-2004. Donated more than 2.1 million hours of service to communities. Post Service Officers handled more than 116,000 cases of veterans seeking benefits and just compensation from the Department of Veterans Affairs. Devoted more than 1.0 million hours of volunteer service to Department of Veterans Affairs hospitals. Donated more than 90,000 pints of blood to collection centers nationwide, making The American Legion the nation's single largest blood donor. Annually spends nearly $33 million on programs benefiting children and youth. 2. Sponsored nearly 24,500 American Legion Boys State delegates. 3. Sponsored nearly 2,500 Scouting units serving 72,000 youngsters. 4. Sponsored more than 5,200 American Legion Baseball teams and an additional 2,400 youth baseball squads. 5. Awarded more than $5 million in college scholarships to deserving students. Country music singer Michael Peterson's DVD collaboration with The American Legion - featuring the song "It's Who We Are," a tribute to The American Legion – was released at the 2007 National Convention in Reno, Nev. The "It's Who We Are" DVD includes interviews with celebrities and Legionnaires explaing What Is The American Legion, along with public service announcements about The American Legion Legacy Scholarship Fund. For each DVD bought $5.00 will be added to the fund.